Fighting games often have to be severely pared down when coming to mobile platforms due to the limited nature of touch screen controls. But Capcom Vancouver has found a clever solution — you can still have the base fun crossover fighting experience while removing traditional combo-style combat entirely. Enter Puzzle Fighter, a mobile version of the 1996 PlayStation and arcade title Super Puzzle Fighter II Turbo (a nod to Super Street Fighter II Turbo, as there were no other Puzzle Fighter games). Instead of repeatedly tapping the screen to do combo-driven damage, Puzzle Fighter has you matching falling coloured gems in a Tetris-style grid. Each time you successfully destroy gems of the same type, your character will attack your opponent, depleting some of his/her health. These aren’t just any characters, either, with colourful, chibi-style fighters representing many of Capcom’s iconic gaming franchises. However, while the original Super Puzzle Fighter II Turbo only featured Street Fighter and Darkstalkers characters, other Capcom series have also made the cut this time around. Therefore, in addition to the likes of Ryu and Morrigan, you’ll also be able to use fighters such as X (Mega Man), Dante (Devil May Cry), Jill Valentine (Resident Evil) and Chuck Greene (Dead Rising). As you continue to destroy gems, a metre will fill that, once it reaches 100 percent, will allow you to perform high-powered special moves. In a great bit of fan service, these attacks will often hailing from each characters’ original game, such as Ryu using a Hadoken and Chun-Li launching her Lightning Kick. As you win battles, you’ll receive gems that can be used to purchase new costumes, skill cards to upgrade special moves and new fighters. 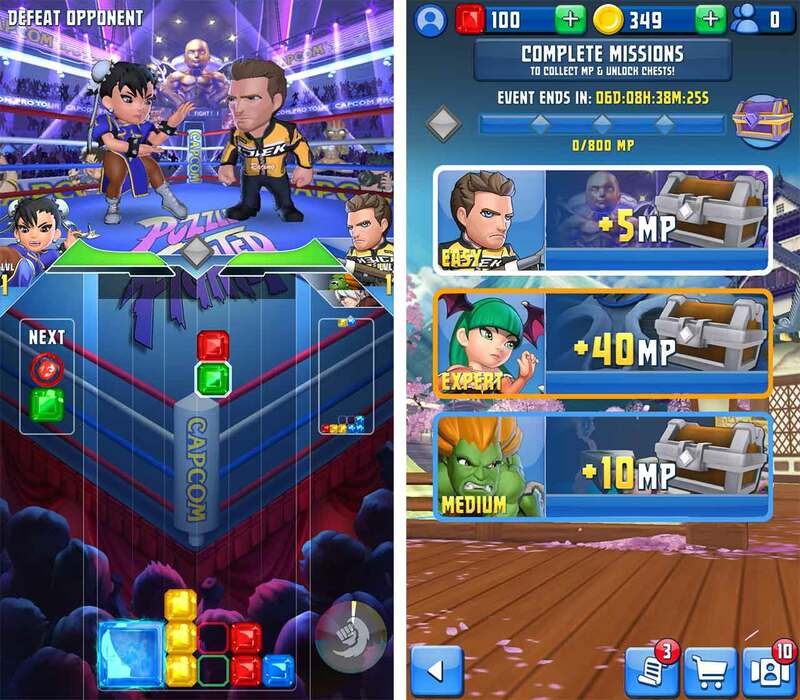 This loot-based levelling system adds a nice RPG-lite feel to Puzzle Fighter, but it’s also where microtransactions come into play, allowing you to use real money to unlock loot boxes more easily. Thankfully, while this may be an issue in balancing online play, I never saw the need to purchase them while playing on my own. 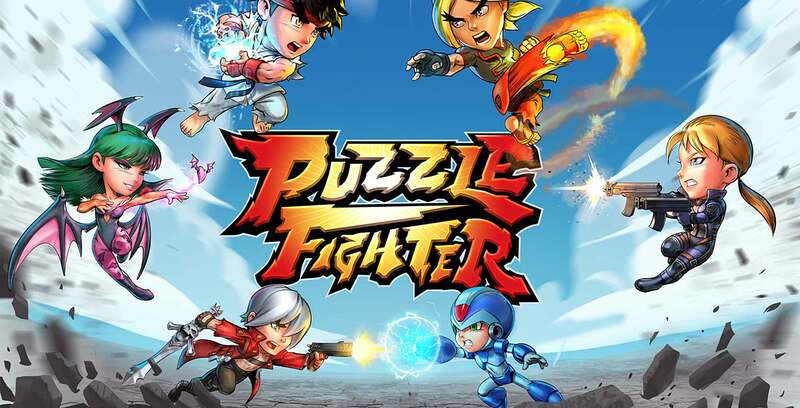 With all that said, Puzzle Fighter is a clever mobile take on the fighting game genre. 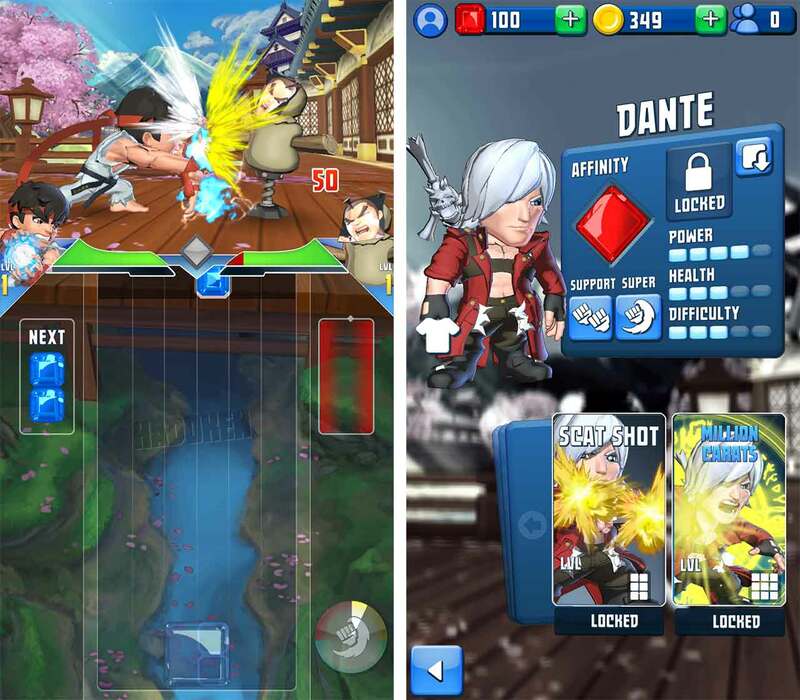 By taking much of what makes crossover fighting games appealing — characters from different series coming together in solid fanservice — while adopting more mobile-friendly mechanics, Capcom Vancouver has delivered a surprisingly fun puzzler that’s worth coming back to. Now, since we’re already halfway there, can we get a Marvel vs. Capcom follow-up? 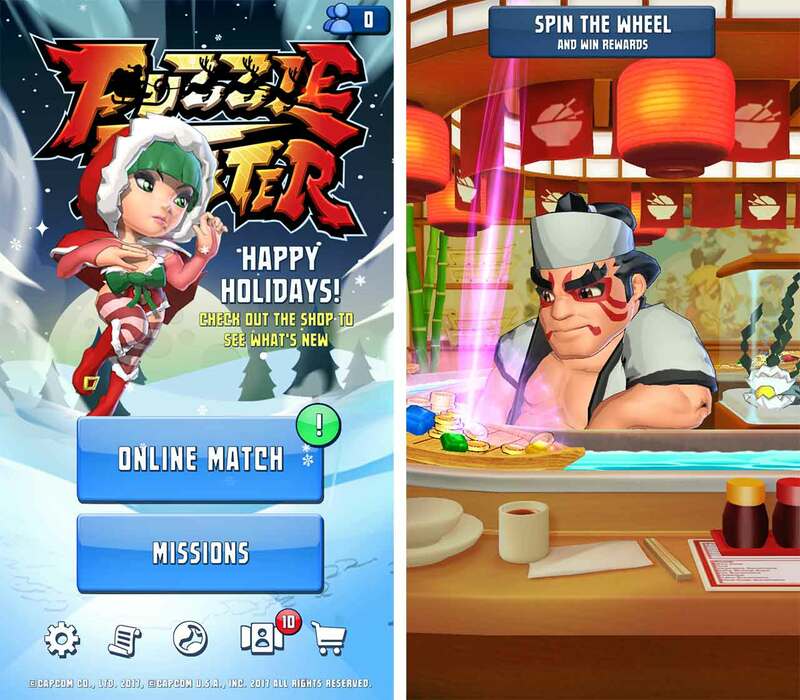 Puzzle Fighter can be downloaded for free on Android and iOS.